Paisley Roots: Uptown/Downtown Free Add ons! During the summer one of the cutest knit dress patterns was released. 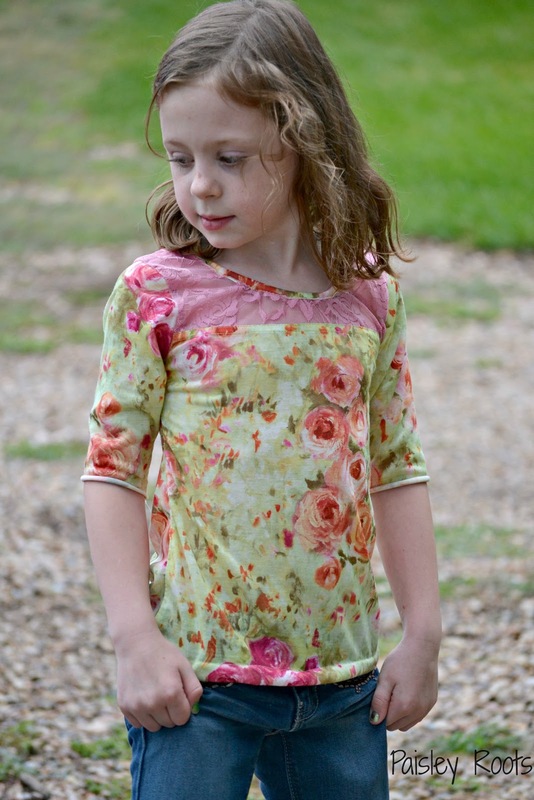 The Uptown/Downtown Dress by Sew Straight & Gather. 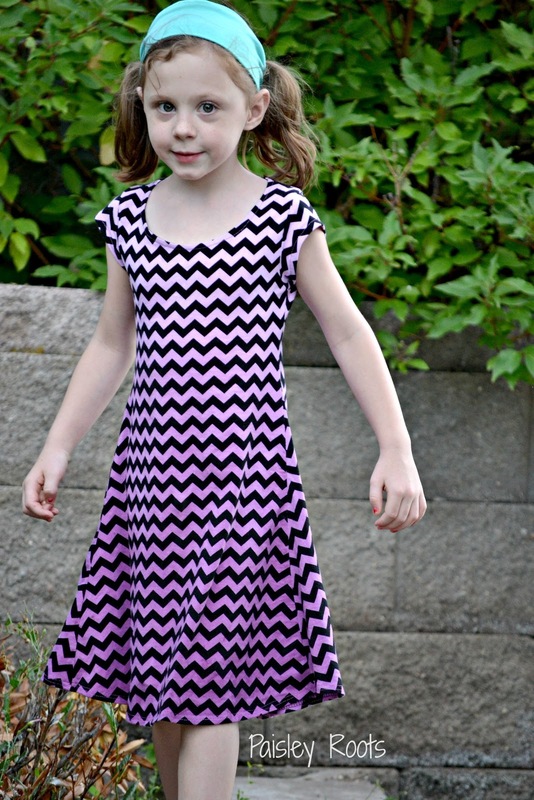 I love this pattern and have made Zoe a chevron (ridiculously expensive) dress. A lace colorblock shirt and a tank top for Aevs. I haven't blogged about the lace shirt yet, but you can click on the other two pictures to read more about those looks. 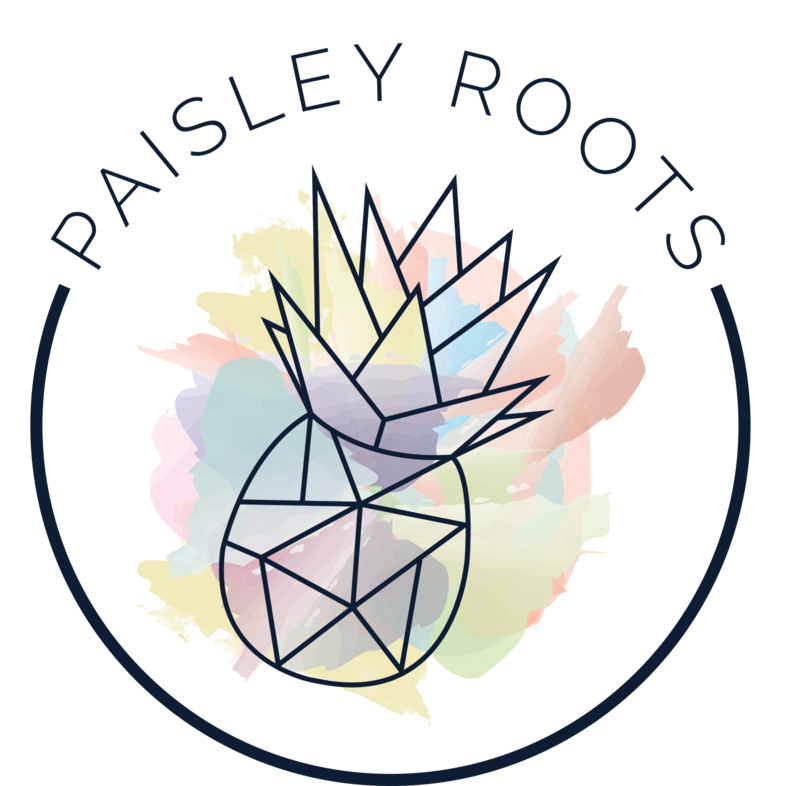 Obviously little miss Paisley felt left out of the Uptown/Downtown love and needed one too! 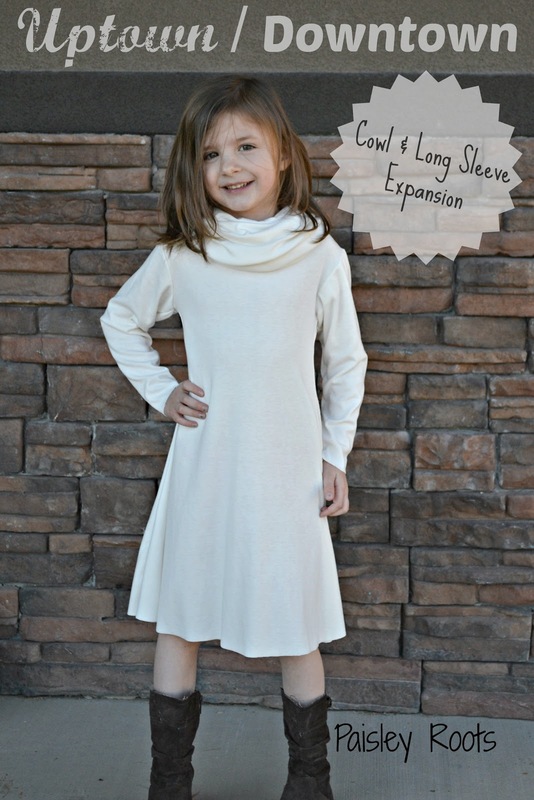 Luckily Terri also just decided to make some FREE add on's to this pattern that are absolutely perfect for the cold weather we are heading into! 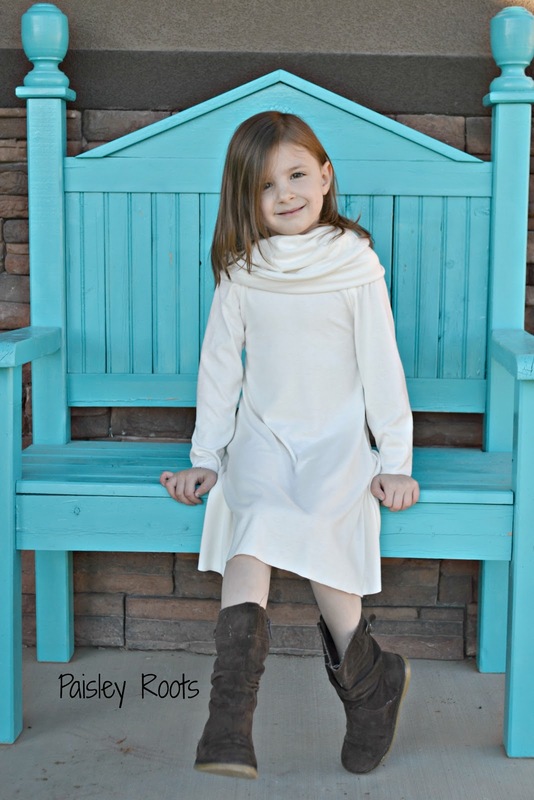 For Paisley's we went with the Cowl neck and long sleeves. I adore this look and she will be comfy warm in it. The knit I used is some interlock that I scored at Walmart for $1 a yard. Say what you will, but it's the perfect weight. I also know that some of you may be balking at the fact that it's cream. I figure if she stains it, I can do some fun dye job on it and BAM we are back in business! Did I mention that the pattern is on sale until Saturday?? That's a reason to jump for joy! And so you know, I was not given anything to do this blog post. I was just so excited about the expansions that I had to blog about it. Terri is also awesome and I love promoting other Indie Designers! For the blog tour Terri has a discount code for 25% off her whole shop! You can check out all of Terri's Patterns here! Don't forget to enter the giveaway! Terri is giving away one Uptown/Downtown dress EVERY day during the tour! I love the dress, she looks like an angel :) I love your "we can dye it later" thinking! I love the color and the new add ons are so great! She is just too cute! I love this dress- it's gonna go with EVERYTHING! 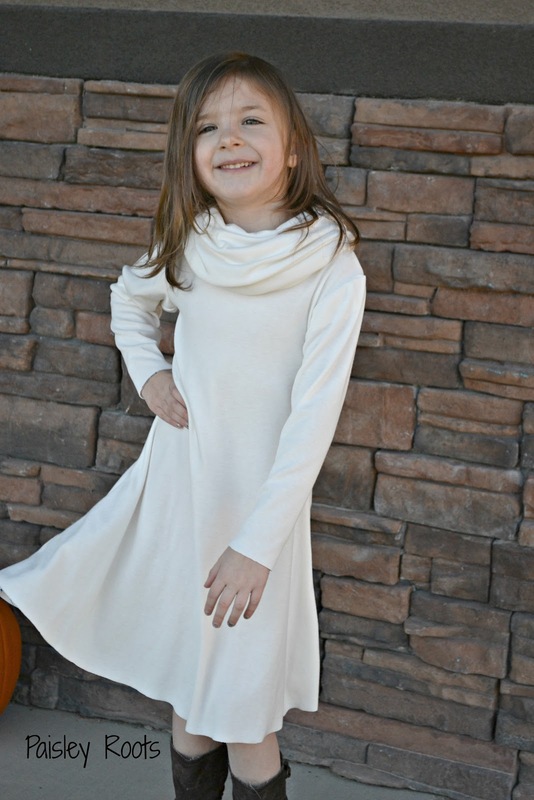 Thanks Karly for sewing up a lovely...and I still can't get over WHITE gorgeous dress!!! Gorgeous dress, so simple and stylish. A staple for the winter wardrobe. I made up the tank version as we are heading into summer but I can't wait to make some up for winter next year as well.